Until very recently, healthcare policy as dictated by government has had little impact on the practice of psychotherapy and psychoanalysis. That is not to say that there hasn’t been regulation of psychotherapists. In his monumental four-volume study, Daniel Hogan (1979) exhaustively reviewed the theoretical and practical implications of the regulation as well as the non-regulation of psychotherapists throughout the United States. He looked at the role of licensure, professional liability suits, self-regulation by non-governmental professional associations and, in addition to reviewing the federal government’s efforts in this regard, did a 50-state review in all of the above areas. There has not been a sequel to this immensely valuable contribution. Perhaps volume five can now be written since the federal government, through its extraordinary leverage in financing access to services through the Medicare and Medicaid programs, has begun to exercise impact on opportunities for psychotherapy. National health reform would expand the federal role in this regard and would have an even greater impact. 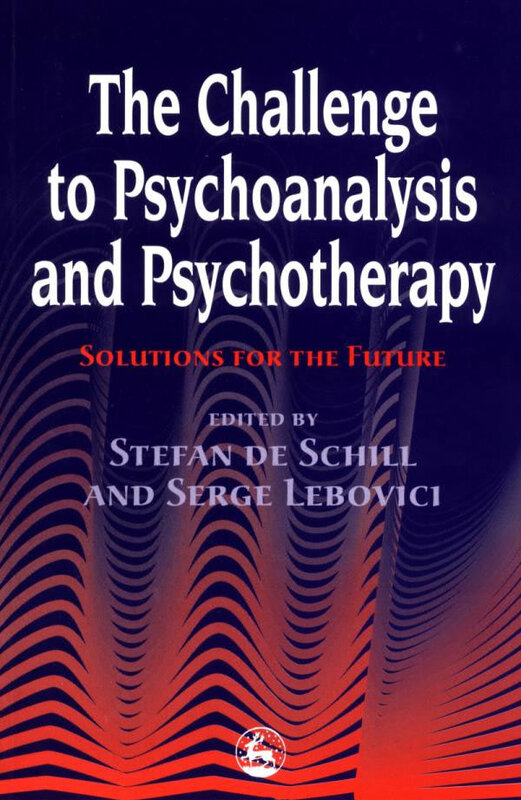 This chapter focuses on the financing of psychotherapy, especially third-party financing, and shows how the availability of other people’s money has a profound impact on opportunities for psychotherapy and psychoanalysis. Issues of health insurance coverage, cost of care and access to services and quality all arise as we review the history of the financing of mental healthcare and attend closely to this new era, launched in 1983 with the diagnosis-related grouping (DRG) effort at cost containment in the Medicare program and now expressed through a variety of managed care and managed cost approaches in all 50 states and in federal programs. Until the mid-nineteenth century health care for the ‘insane’, as it was called, was generally financed through direct fees between providers and patients or their families or provided by local government through contracts with families and local poor and almshouses. The latter half of the nineteenth century was marked by the growth of institutional care for the mentally ill, initially based on a ‘moral treatment’ model which emphasized freedom and lack of restraint, reasoning with patients and a hopeful attitude for recovery. Institutions such as the Brattleboro Retreat in Vermont and the McLean Hospital in Boston were models of this early era of talking treatment. Both institutions were financed by private fees. Dorothea Dix, one of the most effective citizen activists in the history of America, was a tireless advocate for humane institutions for the mentally ill, traveling from state to state, reviewing the lack of care delivered in local communities and successfully initiating legislation in 14 states that led to the founding of 22 asylums. Largely as a result of her efforts, state government became the primary funder for mental health treatment. A focus on institutions and the growth of state hospitals and other state programs characterized the next 100 years of the financing of mental healthcare. As state programs proliferated, clinical notions changed in the face of a large number of chronically ill individuals and what had begun as idealistic institutions were transformed in the latter half of the nineteenth century into large public warehouses for those with serious mental illness. Mental illness was seen primarily as a physiologic or brain disease, inevitably deteriorating, with no hope for cure. At the end of the nineteenth century, State Care Acts were enacted in an effort to improve the quality of care for the mentally ill in institutions. The unfortunate impact of this legislation was the transfer of elderly and cognitively impaired Americans without financial resources to these public mental health facilities. Many patients with chronic dementia, syphilis, Huntington’s disease, arteriosclerosis and other neurologic conditions began to fill the beds and chronic illness and long-term care of chronic illness became both the health policy and the reality (Foley and Sharf stein 1983). The beginning of the twentieth century called for major reform. Adolph Meyer argued for neighborhood-based approaches and the psychopathic hospital movement was born. The first programs in general hospitals began and the mental hygiene movement was initiated by a former patient, Clifford Beers. Still, most patients were housed in chronic custodial care for years and the costs were assumed by state governments. As the policy goal became an effort to determine how little the state could pay per patient, administrators oflarge institutions were rewarded for extraordinary cost efficiencies at the expense of patient care (Morrissey, Goldman and Klerman 1980). Today, it’s hard to imagine that just 60 years ago very few Americans were covered by anything resembling health insurance. The threat of insolvency of general medical hospitals in the Great Depression led to the creation of the Blue Cross system and soon similar systems were pioneered. In 1940 only nine per cent of the US population were covered by some form of hospital insurance. This insurance generally excluded mental as well as tuberculosis hospitals and did not offer much outpatient coverage. Of course, this was also the era of growth for psychotherapy and psychoanalysis in America. Government had little or no role in paying for such care and this treatment was entirely supported by private fees. Health insurance grew at a rapid pace during the Second World War as fringe benefits became a part of union-negotiated wage agreements. By 1948, 40 per cent of the population was covered by health insurance. Outpatient coverage began and the model we recognize today of risk spreading and private health insurance supported mostly by employers became established across the land. Government gave health insurance a boost in 1954 when employer’s payments for health insurance were exempted from corporate taxes, creating a major financial incentive to pay employees with this fringe benefit rather than salary. Health insurance benefits became progressively richer during the subsequent 30 years, in large part due to this tax exemption. In the early years of insurance coverage, hospital and physician bills were paid reliably and promptly, generally at the amounts charged (which had little to do with actual costs), and insurance administrators in the private sector as well as regulators in the public sector had a ‘laissez-faire approach’ to all healthcare (Stoline and Weiner 1993). This has changed radically today. continued for a short time since the benefit threatened the program with bankruptcy. This is the first example of ‘adverse selection’ in that too many individuals at risk for the treatment made it financially impossible to spread the risk. However, the word got out on the insurance grapevine that it was difficult, if not impossible, to cover outpatient psychiatric care, especially psychotherapy and psychoanalysis. It would be another two decades before such coverage began to be reintroduced (Sharfstein, Muszynski and Myers 1984). Countering this experience was the introduction of effective treatment for mental conditions in the mid-1950s with the discovery of antipsychotic medications as well as antidepressants, leading to the discharge of many patients from large public hospitals. Philosophy of care changed to an emphasis on acute short-term general hospital care covered by insurance and outpatient services in local clinics or private offices. This was reinforced by the passage of the Community and Mental Health Centers Act in 1963 and the expansion across the country of outpatient services in many parts of the nation where none had previously existed. Generous coverage for psychotherapy and psychoanalysis began in 1967 with the Federal Employees Health Benefits Program liberalizing its mental health benefit to cover unlimited outpatient visits with the same co-payments as those for general healthcare. In the Blue Cross/Blue Shield High Option Plan that meant 80 percent of usual and customary charges were covered after a $100 deductible. This program stimulated the growth of private third-party coverage of psychotherapy and psychoanalysis from the years 1967 to 1980. Despite this growth, the insurance coverage of mental disorders varied widely throughout the private sector. The majority of private sector plans have always had ‘inside limits’ on psychiatric care—that is, they treat the care differently than medical/surgical care. Patients traditionally have paid more out-of-pocket and, in cases of severe disorder, often seek care in the public sector after their private resources rapidly run out. Insurance coverage has failed to protect those with mental illness against catastrophic economic loss. Without broad risk-spreading across the general population, those plans which had decent coverage over time became adversely selected once again. The Federal Employees Health Benefits Program was one such example of adverse selection and in 1981 and 1982 this program dramatically cut back its psychiatric benefits, including outpatient care, effectively eliminating the insurance for intensive psychotherapy or psychoanalysis. More recently, we have seen the introduction of managed care approaches which have shifted some of the resources from inpatient to outpatient care, expanding some opportunities for additional psychotherapy if such treatment might avoid a hospital stay. Most managed care approaches, however, emphasize psychotherapy by the least expensive provider—generally social workers, bachelor-level psychologists and nurses. These private sector trends have been largely influenced by changes in governmental health policy from 1965 to the present. A review of the Medicare program will help our understanding of the impact of such financial regulation on opportunities for psychotherapy and psychoanalysis. Medicare, a forerunner to universal health reform, provides comprehensive financing for health services for all people over age 65 who are eligible for Social Security and for people who are under age 65 who have been receiving Social Security disability payments for at least two years. All eligible individuals are enrolled in Part A, the hospital insurance program, and may be voluntarily enrolled in Part B, the supplemental program, by paying a premium. It’s the Part B program that supports outpatient care. Mental illness treatment benefits have been limited under Medicare from the very beginning. Although care in general hospitals has been covered rather well, psychiatric hospitals have had ‘inside limits’ in terms of life-time days and outpatient services, until recently, were extremely restricted to, essentially, $250 per person per year. Let’s review some of these cost-containment regulations under Medicare as they provide a window to view healthcare reform that will have a major impact on opportunities for psychotherapy and psychoanalysis. taking, in many ways, a huge cut, particularly in major metropolitan areas where fees had grown in the private market. This occurred despite some positive changes in Medicare reimbursement which led to a distinction between the medical management of psychiatric conditions and psychotherapy and broadened coverage for both. The medical management of mental disorders was initially defined in 1984 and coverage expansion began in 1987 from the $250 limit to $1100, retaining a 50 per cent co-payment. Medical management, however, was covered on a different basis at 80 per cent of approved charges, similar to the medical management of all somatic conditions. According to the narrow Medicare definition, medical management of mental illness includes prescribing, monitoring and changing prescription drugs for the treatment of mental disorders. Such definition means that medical management is actually medication management. Although the patient need not receive a prescription or be on medication at every visit, it does require only a brief office visit. In 1989 the $1100 limit on payments for psychotherapy was removed, although the 50 per cent cost-sharing was retained (Sharfstein and Goldman 1989). In 1982 psychologists and social workers were added to the list of providers who could bill independently for psychotherapy. All of these policy modifications led to the expanded access to care, particularly outpatient care. The addition of non-physician psychotherapists to Medicare and other third-party payers has generated significant increases in the expenses for psychotherapy. As the supply of psychotherapists has mushroomed, the costs associated with psychotherapy have grown in proportion. Most countries limit health insurance reimbursement for psychotherapy to physicians. It is only in the United States that there are so many non-physician psychotherapists, who, through state law, licensure, and federal regulation, are entitled to bill independently. This creates additional dilemmas for policymakers in their efforts to contain the costs of mental healthcare. National health reform, should it be implemented, will be built on many of the Medicare-driven policy issues. The Clinton administration proposal emphasizes ‘managed competition’ with universal coverage requirements and a mandatory basic benefit package. Psychotherapy benefits under the Clinton proposal are extremely restricted because of fears about costs of expanded coverage. The original Clinton plan had only 30 visits per year at 50 per cent co-pay. In the Congress, however, national health reform has been rewritten and psychotherapy benefits have been broadened. One particular proposal in the Senate calls for ‘parity coverage’—that is, the same coverage as general medical conditions for psychiatric conditions, including psychotherapy. All plans, however, expect to utilize managed care techniques in an effort to hold down costs. These techniques, as legislated under health reform, rely on the experience in the private sector of widespread implementation of utilization review, gate-keeping and other tactics designed to hold down costs. For psychotherapy, these techniques are particularly problematic because for psychotherapy to succeed, it needs privacy and space. The constant intrusion of utilization review discourages both therapist and patient and makes it difficult for the patient to feel safe in his or her psychotherapeutic encounter. More and more patients elect to pay entirely out-of-pocket to avoid the breach of confidentiality and scrutiny. This, of course, undermines access to care (Sharfstein 1990). At this point it is not clear whether health reform will allow such private contracting between therapists and patient. Medicare does not allow this, and has not for a number of years, and it is a felony offense for physicians to privately contract, even with their very rich patients, for additional psychotherapy fees. Since allowable reimbursements under the Relative Value Scale are often 50 per cent of usual and customary fees in many local areas, it has become difficult for well-trained psychotherapists to treat patients and earn a living wage. If health reform includes the same Medicare prohibitions on private contracting, psychotherapy and psychoanalysis may become almost non-existent. We are entering into an era where healthcare policy matters considerably to people as they seek care and treatment for their mental health needs. With cost containment as the major health policy today, psychotherapy must compete with other medical treatments. How well psychotherapy will do in this competitive market-place with the heavy hand of governmental regulation on fees and practice constraints remains uncertain at the present time. Foley, H.A. and Sharfstein, 5.5. (1983) Madness and Government: Who Cares for the Mentally Ill ? Washington, DC: American Psychiatric Press. Hogan, D.B. (1979) The Regulation of Psychotherapists, Volume 1. Cambridge, MA: Ballinger Publishing Company. Morrissey, J.P., Goldman, H.H. and Klerman, L.V. (1980) The Enduring Asylum: Cycles of Institutional Reform at Worcester State Hospital. New York: Grune & Stratton. Sharfstein, 5.5. (1990) ‘Utilization Management: Managed or Mangled Psychiatric Care?’ American Journal of Psychiatry, 147,8. Sharfstein, 5.5. and Goldman, H. (1989) ‘Financing the Medical Management of Mental Disorders’. American Journal of Psychiatry, 146,3. Sharfstein, 5.5., Muszynski, 5. and Myers E. (1984) Health Insurance and Psychiatric Care: Update and Appraisal. Washington, DC: American Psychiatric Press. Stoline, A.M. and Weiner,J.P. (1993) The New Medical Marketplace: A Physician’s Guide to the Health Care System in the 1990s. Baltimore, MD: Jo527XI993.